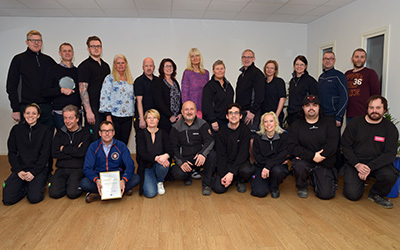 29/03/2018 When Lesjöfors Automotive was awarded �supplier of the year� in 2016, Sales Manager Christer Stark promised to work even harder in 2017 to secure the award two years in a row. He kept his promise. The last year has seen Lesjöfors increase their sales by 27 percent, while maintaining a service level of over 97 percent. KG Knutsson AB established the �Supplier of the Year� award to give their supply partners an added incentive, and to highlight the importance of logistics and cost-effectiveness as a competitive tool.